The federal Centers for Disease Control and Prevention reports that nearly 25% of women and 5% of men over the age of 65 have osteoporosis. 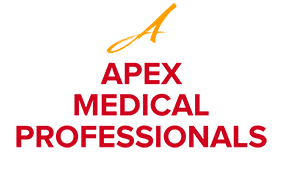 Walid Elkhalili, MD, and the team at Apex Medical Professionals specialize in preventing osteoporosis with early intervention, as well as providing effective treatment after it’s diagnosed. To learn whether you’re at risk of osteoporosis, call the office in Fair Lawn, New Jersey, or book an appointment online. Your bones reach their peak mass in your early 20s. Throughout the rest of your adult years, your bones stay healthy by continuously discarding old or damaged bone and replacing it with new bone. Around middle age, adults start to lose more old bone than is replaced with new bone. This is usually a gradual process, but an exception occurs after menopause when loss of estrogen triggers rapid bone loss. When an imbalance develops and bone loss exceeds bone replacement, you develop osteoporosis. A variety of medical conditions can also increase your risk of osteoporosis, including diabetes, chronic obstructive pulmonary disease, and rheumatoid arthritis. What symptoms might I develop due to osteoporosis? Most patients don’t develop symptoms until their osteoporosis progresses enough to cause a fracture. Untreated osteoporosis weakens bone so extensively that you can suffer a fracture from a twist or a fall that normally wouldn’t hurt healthy bones. As vertebrae are weakened, they flatten. Over time, this causes back pain and leads to a noticeable loss of height. Osteoporosis makes vertebrae susceptible to compression fractures that typically occur in the front of the vertebra. Since the back of the vertebrae stays at a normal height, your back gradually becomes rounded. Treatment for osteoporosis begins with calcium and vitamin D supplements as needed. The team at Apex Medical Professionals also offers vitamin D injections to quickly boost your levels. They may prescribe an oral medication to increase bone density or recommend a Prolia® injection, which strengthens bones by stopping the removal of old bone. If you have questions about osteoporosis or would like to learn whether you’re at risk for developing the condition, call Apex Medical Professionals or book an appointment online.